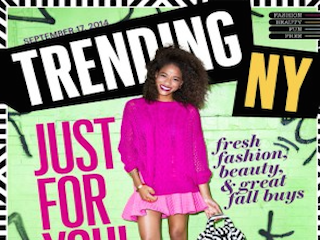 There’s a good chance that you’ve never heard of TrendingNY, the free magazine packed with ads targeting millennials. Nevertheless, Hearst has decided to fold it, just nine months after the company announced it was increasing the magazine’s publishing frequency. TrendingNY—distributed each month by street teams in Manhattan, Brooklyn and Queens—was basically a collection of ads, and so when the advertisers stopped coming, Hearst was forced to shut things down. Despite the obvious indication that TrendingNY did not succeed, a Hearst spokesperson told WWD that it had. It must be weird to be a spokesperson.